We’re got a million things to do today but we had to take time to post this tongue-in-cheek jab at the home shopping industry put together by Steve Bryant, self-described TV shopping, infomercial and talk radio host. It’s his David Letterman-type Top 10 list. Although I’m out of the DRTV industry, it’s still fun to poke it with a sharp stick. 10. Death squads from the “Big 3” existing channels. 9. New crop of TV Shopping Hosts is just awful. 8. QVC has trademarked all the good proprietary brand names. 7. Customers finally understand that a diamond stimulant (sic) does not look as good as a real diamond. 6. High price of gold and silver means that most jewelry is now made out of aluminum foil, chewing gum and marine resin epoxy. 5. Americans have finally realized that the difference between a $40 lipstick and a $5 lipstick is $35. 3. The only product not under contract to an existing shopping channel is the new Cabbage Patch Kids Bruce Jenner Doll. 2. All the good lies about Tanzanite have already been used. 1. The only celebrity not currently endorsing a product is Mel Gibson. Woo-hoo. HSN has a lot of fall fashion brand launches scheduled from Aug. 25 to Sept. 28. The home shopping network said Wednesday that it will be debuting David David Meister dresses; DEESIGNS by Dee Hilfiger; Hal Rubenstein, an eponymous lifestyle collection; and an exclusive handbag collection, OH by Joy Gryson. This shindig will feature “Today” show style editor and fashion expert Bobbie Thomas offering tips on the season’s top trends. 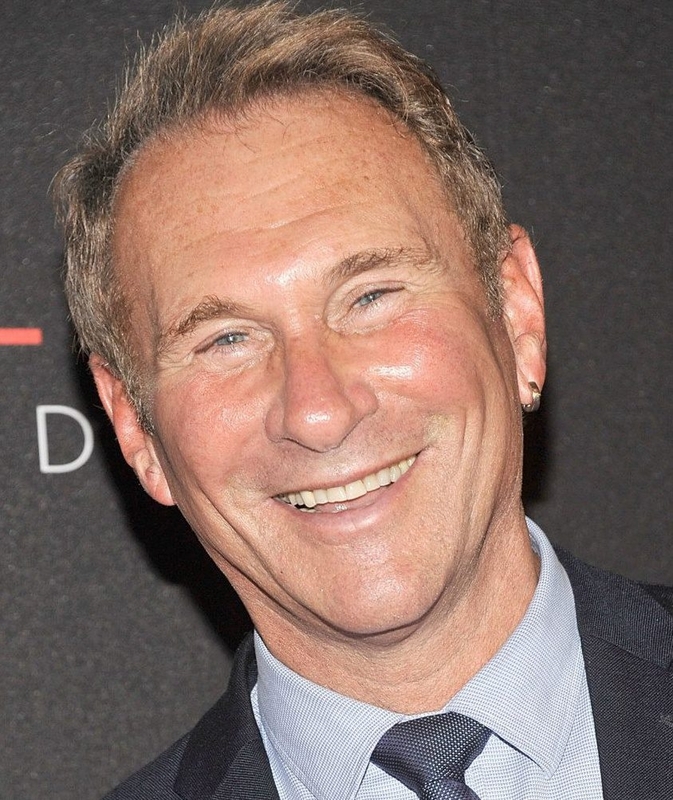 So-called red carpet guru David Meister will debut his first HSN exclusive collection on Sept. 26. David David (yes, two “Davids”) Meister includes day, evening and cocktail dresses inspired by David’s signature looks and best sellers. The collection ranges from $149.90 to $259.90. Prices range from $79 to $239. A fashion editor and stylist for over 25 years, Rubenstein launches his first ever-collection with HSN on Sept. 27. Ranging from $39.90 to $299.90, the Hal Rubenstein collection includes a range of accessories, separates, suede footwear and tailored outerwear. Gryson started her own handbag line in 2006. Now she is bringing her sensibility and CFDA-award-winning talent to HSN through a collection of vintage-inspired leather handbags. The HSN Fall Fashion series also features new styles from veteran HSN vendors including Giuliana Rancic, IMAN, Iris Apfel, June Ambrose and Twiggy. Accompanying the kick-off of the Fall Fashion series, HSN is launching its Jeans Shop. Following the successful launches of HSN’s dress and shoe shops, HSN continues to make shopper friendly updates to their website by aggregating content within specific categories on HSN.com. The Jeans Shop will let consumers shop by shape and further the ease of shopping from the comfort of home. HSN caters to all sizes and models in a range of sizes will be presenting styles in a 360-view so a woman can find jeans that are flattering to her own body type. Launching on HSN in tandem with the Jeans Shop are James Jeans and NYDJ, who will join additional HSN denim brands like Diane Gilman, DKNY Jeans and Yummie By Heather Thomson. 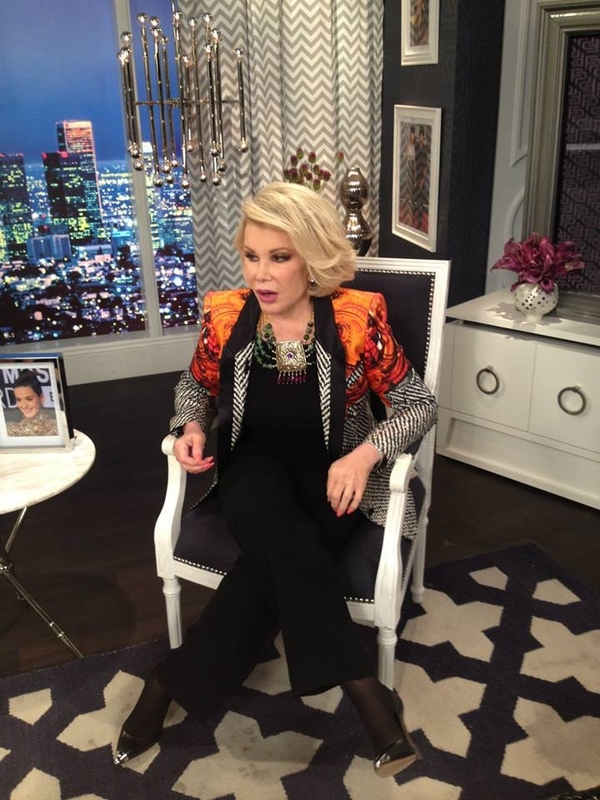 Eternal QVC jewelry queen Joan Rivers is a co-host of the show. Of course, she and her fellow “Joan Rangers” were dissecting the fashions that the music world’s top stars wore to the awards show in Brooklyn Sunday night. 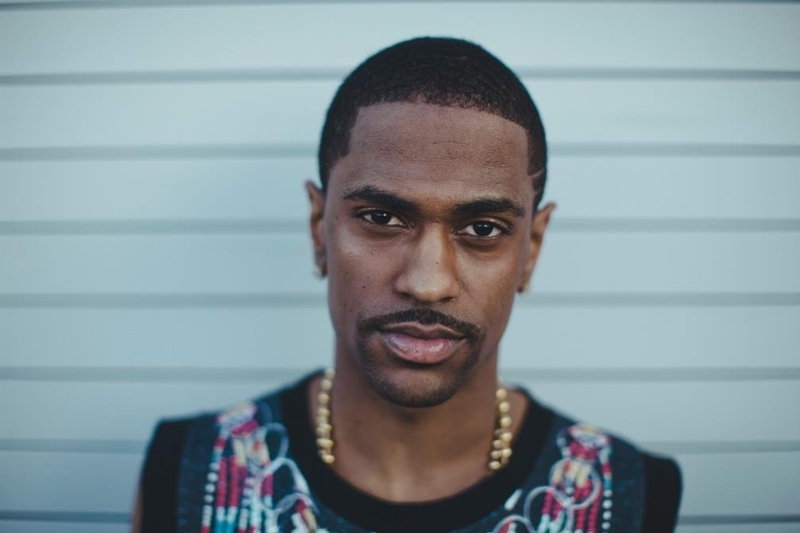 Hip hop artist Big Sean, who we had never heard of, had attended the VMAs and flew to LA from New York City to appear on “Fashion Police.” During the show he mentioned that he was designing a fashion collection that was reasonably priced, with many items under $100. That prompted Big Sean to say that his mother was a QVC and Rivers’ fan, and that she had told him to tell Joan that she had bought a load of earrings from the comedian’s fashion jewelry collection. So even rappers, and there moms, know about and love QVC. Say what? Guitar player Esteban has left HSN and joined QVC. Esteban, a mysterious musician, has been an HSN vendor for years, hawking guitars and offering instructions on how to play. As we recall, he always wore a hat and sunglasses. We were on QVC.com saw something “new” was on the network’s schedule, “Learn Guitar with Esteban,” at 1 a.m. Tuesday. If you’ve always wanted to play guitar but never got around to it, don’t fret! Tune in for Learn Guitar with Esteban and let this internationally renowned guitarist show you that it’s never too late?or too early– to master the guitar. Discover techniques for learning guitar at home and at your own pace with Esteban’s all-in-one instructional kit. You’ll find everything you’ll need to start strumming including an acoustic guitar with case, amplifier, easy-to-follow instructional DVDs and an accessory package. Pick up skills for playing a range of guitar styles from rock to folk to classical and more. Whether you’re a beginning guitarist or simply want to take your skills to a new level, don’t miss Learn Guitar with Esteban on QVC. It seems to us that you don’t often see vendors move to QVC from HSN or ShopNBC, so this is pretty interesting. QVC promoted two executives to senior vice president positions Monday, in digital commerce and TV production and operations. We hope QVC Chief Claire Watts gave you a big raise, guys! Alex Miller was named senior vice president of digital commerce. He will continue to report to Mary Campbell, QVC senior vice president of multichannel platforms, but will now be responsible for the customer experience across the home shopping network’s Web, mobile, tablet, and social platforms. In his new role, Miller is responsible for developing the customer experience strategy across all QVC digital platforms. This includes accountability for eCommerce sales, digital experience and operations, and QVC’s social shopping business. QVC’s eCommerce business has grown steadily year over year, currently accounting for 42 percent of U.S. revenue in the second quarter. Since joining QVC in 2001, Miller climbed up the network’s ranks in Internet sales, off-air and on-air programming, and eMarketing groups. He has championed numerous multichannel initiatives to create a more engaging shopping experience for the QVC customer and led the development and implementation of a new eCommerce platform. He also played a key role in the integration of recent QVC acquisitions, and is leading the launch of QVC’s new social media platform, toGather. Dave Caputo was promoted to the post of senior vice president of TV production and operations. Caputo will assume his new role immediately, overseeing QVC’s television production needs, and continues to report to Campbell. In his new role, Caputo will oversee QVC’s TV production, technical broadcast and studio management and support services, leading the development and execution of the function’s overall business plans, policies, practices and relationships with vendors. 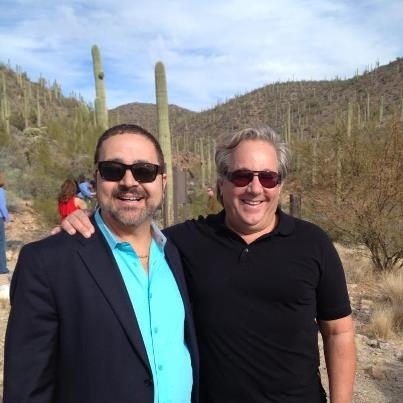 Caputo has been with QVC for more than 20 years, holding various management positions within the network’s broadcasting operations. He most recently served as vice president of TV production and operations. Caputo’s experience in technical operations and leadership in production made him instrumental in launching a multichannel master control and network operations center, in addition to implementing a social ticker graphic package to provide a more impactful shopping experience for QVC customers. Did ShopNBC’s Chuck Clemency Make Black Spinel A Stone Star? Are we crazy? Wait a minute, let’s rephrase that. In Facebook ShopNBC/ShopHQ jewelry vendor Chuck Clemency last week took credit for bringing black spinel into the market and making it a popular gem. Chuck Clemency, right, and fellow ShopNBC vendor Michael V.
The Big Daddy’s Clemency was referring to where his own huge black spinel hoops. Now here is where us being crazy comes in. We’ve seen more black spinel in the past year on Jewelry Television than any other home shopping network, at terrific prices. We love the stone and bought several JTV necklaces in it. We don’t remember it having much prominence on ShopNBC or with Clemency until this year, long after JTV was offering a wide variety of black spinel baubles. What do you folks remember? Does Chuck deserves props for making black spinel a hot rock, or not? Pieces of QVC’s discontinued jewelry line, Angela by John Hardy, have popped up in TJ Maxx, at least in North Jersey. We’ve spotted bracelets and earrings from the now-defunct, low-priced version of high-priced Hardy sterling silver(made in Bali, we believe), at three TJ Maxx’s, including the stores in Paramus and Ramsey. The jewelry collection came to QVC repped and supposedly designed by model Angela Lingvall. This year, that line was replaced by JAI John Hardy, with a new rep, stylist Scott Grimes. QVC Thursday officially announced the launch of a second network, QVC Plus. The channel, mentioned on a second-quarter earning call earlier this month, will be a three-hour delay of QVC’s live broadcast. The new channel will offer the same customer service as QVC’s primary channel, but its onscreen graphics will say that it is a prerecorded show. Future plans for QVC Plus may include special programming shown only on the channel to further expand QVC’s offerings. QVC’s international networks in the United Kingdom and Germany have offered multiple broadcast channels for some time now, some dedicated specifically to QVC’s prestige beauty offerings. In addition, QVC has confirmed carriage deals with Time Warner Cable and Bright House Networks. QVC PLUS will be available to Bright House Network subscribers beginning in September in the following markets: Bakersfield, Calif.(channels 250 and 1250 HD); Birmingham, Ala.L (channels 273 and 1273 HD); Detroit(channels 188 and 388 HD); Indianapolis (channels 273 and 1273 HD); Central Florida (channels 225 and 1329 HD); and Tampa (channels 162 and 1329 HD). QVC Plus will be broadcast live on QVC’s website, and additional digital commerce functionality will be coming soon. ShopNBC, or should we say ShopHQ, had a strong second quarter, seeing net sales jump 10 percent to $149 million, the home shopping network reported Wednesday. The revenue growth was driven primarily by strong results in the fashion & accessories and home & consumer electronics categories, the network said. QVC has already reported that it had a 3 percent increase in revenue, to $1.3 billion, in the second quarter. HSN’s net sales rose 5 percent, to $526.2 million. Adjusted EBITDA improved to $4 million in the quarter versus $1 million in the year-ago period, reflecting higher sales and lower TV distribution costs. The network, AKA ValueVision Media, has also diminished some of its red ink, reporting a net loss of $1 million compared to a net loss of $4 million a yea ago. Year to date, ShopHQ posted net sales up 10 percent to $300 million, adjusted EBITDA of $10 million, and net income of $200,000. Total customers purchasing over the last 12 months rose 11 percent to 1.2 million, reflecting a broader mix of merchandise at lower average price points, improved customer experience, and the benefits of expanded TV distribution. The size of the total customer base that purchased during the second quarter increased 22 percent versus the same period last year. Net shipped units rose 31 percent to 1.6 million, reflecting continued diversification of the network’s merchandise mix and a 19 percent decline in the average price point. Internet-sales penetration remained strong at 45 percent. Mobile net sales grew 56 percent, increasing to 23 percent of Internet sales compared to 16 percent in the year-ago period. “Our balance sheet condition remains strong,” ShopHQ Chief Financial Officer William McGrath said. Julianne Hough — dancer, actress, Ryan Seacrest’s ex-squeeze, and now a shoe entrepreneur — through her involvement with QVC Presents “FFANY Shoes on Sale” is set to appear in both print and public service announcements supporting the 20th annual charitable shoe sale. QVC Presents “FFANY Shoes on Sale,” which will broadcast live on Oct. 10, teams the home shopping network with the Fashion Footwear Association of New York (FFANY). Together they have raised more than $41 million for the cause. And QVC CEO Claire Watts got her two cents in, too. Beneficiaries for the 2013 QVC Presents “FFANY Shoes on Sale” event include: The Abramson Cancer Center of the University of Pennsylvania, The Breast Cancer Research Foundation, The Samuel Oschin Comprehensive Cancer Institute at Cedars-Sinai Medical Center, The Susan F. Smith Center for Women’s Cancers at Dana-Farber Cancer Institute, The University of Michigan Comprehensive Cancer Center’s Breast Oncology Program, The University of Pittsburgh Cancer Institute, The Winthrop P. Rockefeller Cancer Institute of the University of Arkansas for Medical Sciences, The Alvin J. Siteman Cancer Center at Barnes-Jewish Hospital and Washington University School of Medicine, and The Margie and Robert E. Petersen Breast Cancer Research Program at the John Wayne Cancer Institute at Saint John’s Health Center. Those wishing to support cutting-edge research at these organizations can go to http://www.ffany.org to make contributions and find out ways to join in and be part of this important effort. You are currently browsing the Homeshoppingista's Blog By Linda Moss blog archives for August, 2013.